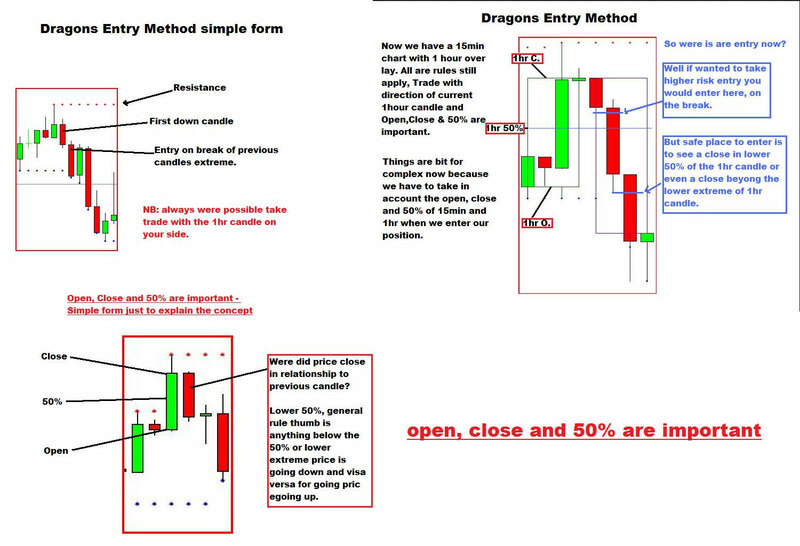 Another scalping method is dragon trading method. Sometime in our head give a question about how much money can you make with scalping strategy? it’s normal right. So, from this question, i’ll share some forex trading scalping strategy that can be used in sideways market and never using this scalping strategy when there are many big economics news release. This scalping mmethod just little bit similar with inside bar trading technique. 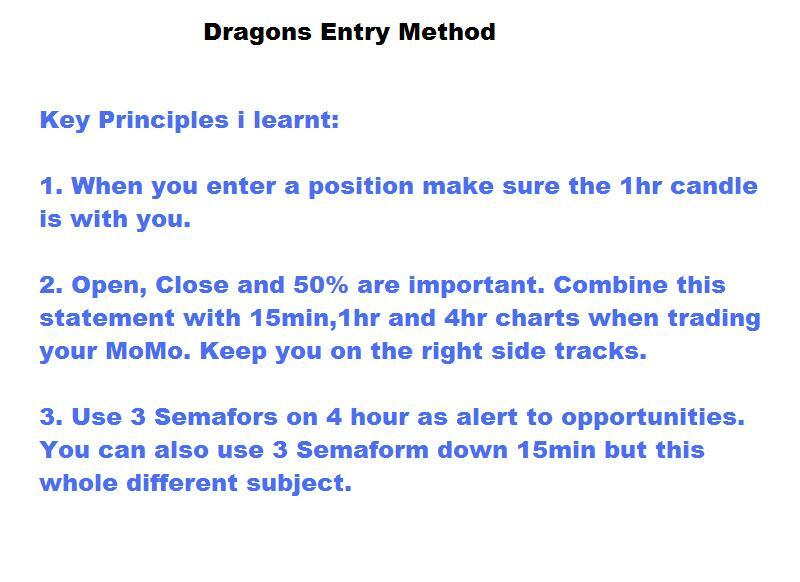 This dragon trading method only using high low close from marubozu candlestick. But little bit different because using high low from previous marubozu it self. Remember still use a strict money management in using this dragon scalping method. This dragon is very suitable for scalping only and stay away from big economics indicators like FOMC statement, fed, industrial production, service PMI, house price index, retails sales, home sales or any other big impact news because usually some economics news only creates a long shadow. You can read too about leading or lagging economics indicator will effect to market movement in our forex charts. So the suggestion is using this dragon strategy after big news release. Test it on demo first before using a real money. And read too about candlestick reversal patterns to minimize our trading risk. Remember beside lot management are our protection capital strategy, every scalping method has to be tested all the time it means need to test first how good risk reward ratio it takes. At least 1:3 RR is a good as scalping and intra day trading concept. At the end every trader goal are trading for living right ? my suggestion is never stops to learn about this fun reversal candlestick pattern in multi timeframe because after we found a good blueprint forex strategy it would be give us ultimate steady income on every month. My recomendation for trading scalping or intra day or in short term trading is using at least 4H or Daily TF as our based analysis and take open positions in m30-h1 time frame to get the best momentum signals. This simple method have the best minumum risk for our trading journey.